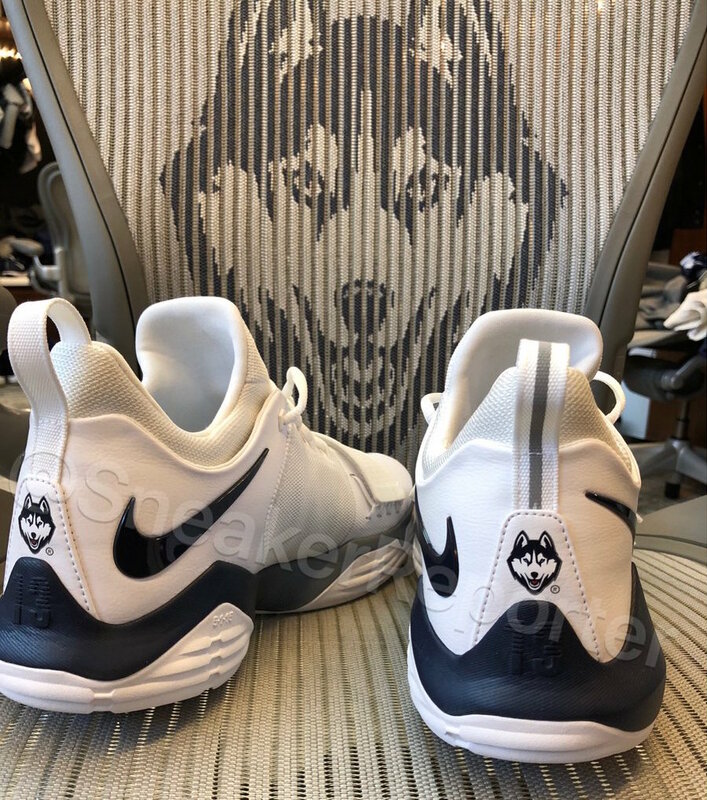 The Connecticut Huskies men’s basketball team are the latest ones to share their Nike PG 1 UConn PE ahead of their season opener on Friday, November 10th. Dressed in the school’s colors. This Nike PG 1 features a White upper with National Flag Blue accents on the tongue, Nike Swoosh logos and midsole. Completing the PE-theme, Connecticut’s Huskies’ logo appears on the heels atop a White rubber outsole. You can expect these and plenty other colorways in the Huskies Basketball teams’ rotation throughout the upcoming season. Don’t expect to see a retail release.